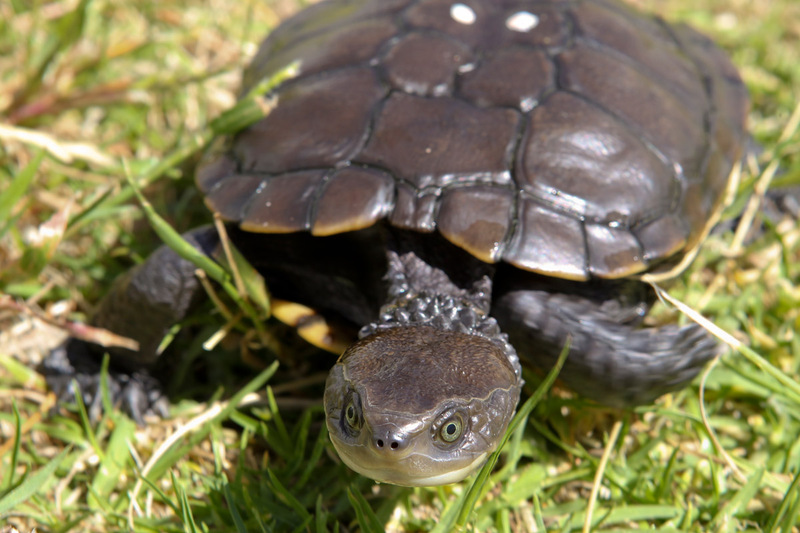 The Western Swamp Tortoise (or Pseudemydura umbrina for those of you who care about Latin) is considered to be Australia’s rarest reptile. It was thought to be extinct for a century before a little boy brought one to a wildlife fair in 1953; shocking his fair-goers and scientists alike (hopefully he won an award at that fair!). After intensive surveying, it was concluded that less than 30 individuals remained in the wild. Since then, Perth Zoo has been actively breeding the Western Swamp Tortoise for reintroduction to the wild. After the last hatchlings for the 2016/2017 breeding season hatched last month, the total number of tortoises bred at the zoo is now more than 900. Of these, over 700 have been released into the wild to boost native population numbers. The Western Swamp Tortoise, apart from being endemic only to Western Australia, is also the last remaining species of the genus Pseudemydura. This genus is the most primitive of its family, dating back 15-20 million years. Plus, these little swamp tortoises are probably one of the cutest animals you will ever see in your life (the biggest they get is 15cm long!). In the midst of all the other chaos happening at the end of 2016 (terror attacks, Trump being elected leader of the free world etc. 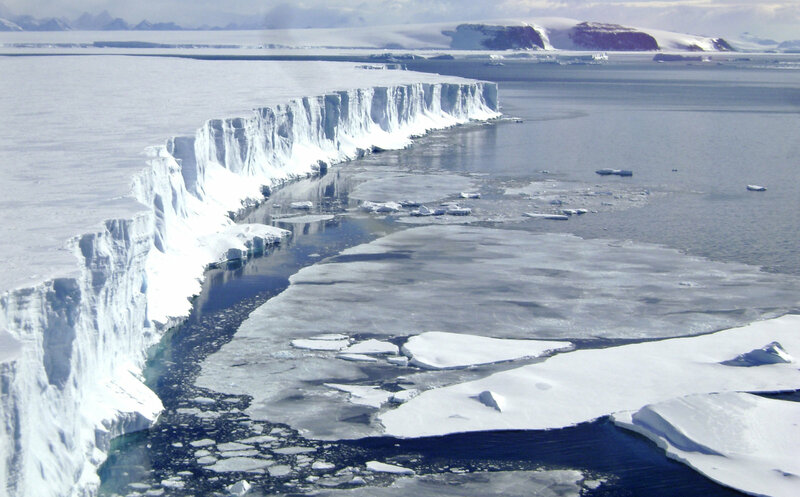 ), scientists monitoring the Larsen C Ice Shelf in Antarctica reported that an iceberg of about 5000km2 would break off in the next few months. The ice shelf is being monitored by UK based program Project MIDAS, who first noticed a rift in the ice shelf in 2014. In January, Project MIDAS announced that the rift had suddenly grown by 18km in the second half of December and that only 20km of ice was now connecting the iceberg to the shelf. Luckily, this iceberg isn’t predicted to raise see levels if it breaks off. But if Larsen C continues to disintegrate, the total volume of water it holds could raise the global sea level by 10 cm. No reason to pack up and move inland yet, but the rapid deterioration of the Antarctic ice is sure to continue to be a hot topic in science during 2017. The United States Department of Defence have decided to put the environment first in 2017 and do something about the pollution problem presented by the hundreds of thousands of empty bullet shells that litter training facilities across the country. Not only are these shells an eyesore, but the chemicals created as the metal rusts can leach into the soil and pollute groundwater supplies. 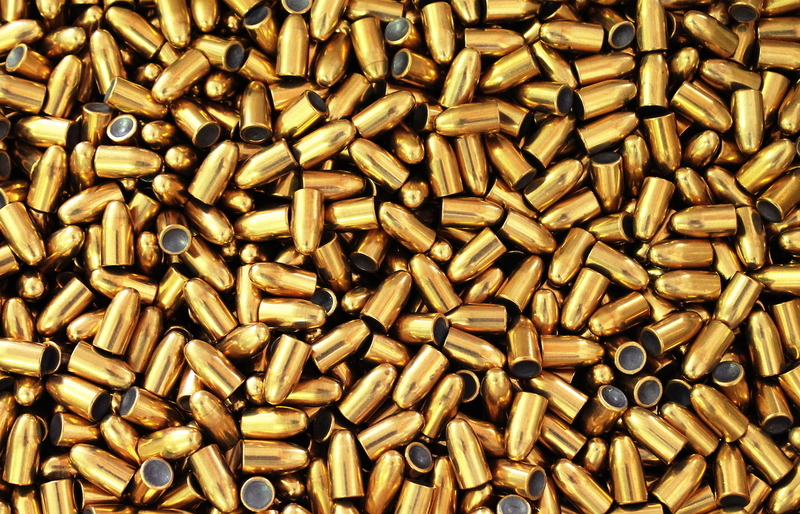 The DoD is currently soliciting proposals for a biodegradable bullet that will safely break down once expelled from its weaponry. The US Army’s engineering laboratory has already developed seeds that can be embedded into a biodegradable material and will germinate after being in the ground for several months, eventually growing into native plants that are safe for local wildlife to eat. The vaquita (Phocoena sinus, again for those who care about Latin) is the world’s most endangered marine mammal. If you’re thinking “what on earth is a vaquita?” no one can blame you – this porpoise species is so rare that popular culture believes it to be a mythical species. They are found only in the upper part of the Gulf of California (near Mexico) and it is estimated that only 60 individuals remain in the wild. In a last-ditch effort so save the vaquita, a group of military dolphins (named Seal Team 6) are set to be deployed in March to find the last vaquitas. These dolphins were originally trained by the US Navy to use their sonar to locate undersea mines and other objects. The goal is for Seal Team 6 to locate a handful of the remaining vaquitas, which can then be captured in order to establish a captive breeding program. Astrofest is an annual event run by Astronomy WA in order to promote the culture of astronomy and astrophotography to the young people of Western Australia. The last 2 years have seen great achievement for Western Australia in the international astronomy community. A group of UWA researchers were part of an international team who detected the presence of gravitational waves in September 2015. Although this doesn’t sound like such a big deal, this detection of gravitational waves confirmed a prediction of Einstein’s famous theory of relativity that had remained unproven for 100 years! Western Australia’s mid-west has also been approved to house the Square Kilometre Array (SKA); the world’s largest radio telescope. The SKA will be able to map the universe at a resolution higher than any attempt made before, with the ultimate goal to observe the radio waves emitted by the first objects to exist in the universe. With such a strong culture of astronomy already present in Perth, Astrofest is shaping up to be a truly eye-opening event for anyone; whether you love space or not.